A Naturopath, Yoga Teacher (Licensed in India, Bulgaria, USA) Hatha, Raja, Vinyasa, Kryia, Bhakti, Ashtanga Yoga, Yoga Integral, accredited by the Yoga Alliance, Acupuncturist, Holistic Nutritionist, Therapist in Ayurveda (with a long-time practice in hospitals in India) and SUJOK. For the past 18 years she has been providing premium teaching and care to thousands of students and patients, addressing a wide spectrum of health concerns and topics. 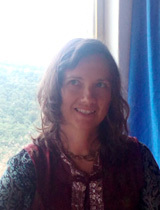 Maria has lived for many years in India from where she learnt, from a young age, the sciences of Ayurveda and Yoga, with Indian Masters and Doctors, since 1990. In Japan and Thailand, Maria practiced during many years Zen Meditation and Thai Massage. Since then up to now she teaches Courses and Classes in Spain, India and online. Relax and let Maria take you into the magical world of Yoga and Meditation. Marina (200RYS) – or Mansarovar as her yoga friends call her – practices yoga and meditation in the spiritual tradition of bhakti for the last 10 years. She has lived and studied in several yoga ashrams in India and Europe, living accordingly today. 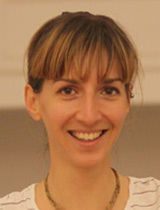 Marina teaches Yoga Inbound classes, meditation workshops and runs yoga retreats. Her background as a screenwriter/filmmaker adds storytelling to her style of teaching and entangles various art practices. She specialises in mantra yoga – the art of kirtan – which is said to be one of the most auspicious meditation processes of our times. She shares the mystery of the ancient Vedic scriptures and the philosophy of yoga with everyone who has sincerely stepped on the path towards perfection. Ariel embraces the power of yoga to heal and transform the body and to help heighten human consciousness and create a radiant life. 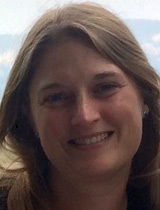 Known for her cheerful, engaging and nurturing personality, she approaches her students with authenticity and humor. Her creativity and ability to pay attention to details make for excellent verbal cues and allows her to help students reach their full potential and work around constraints. Her intention is to inspire others to use yoga as a space to nurture mind, body and spirit. 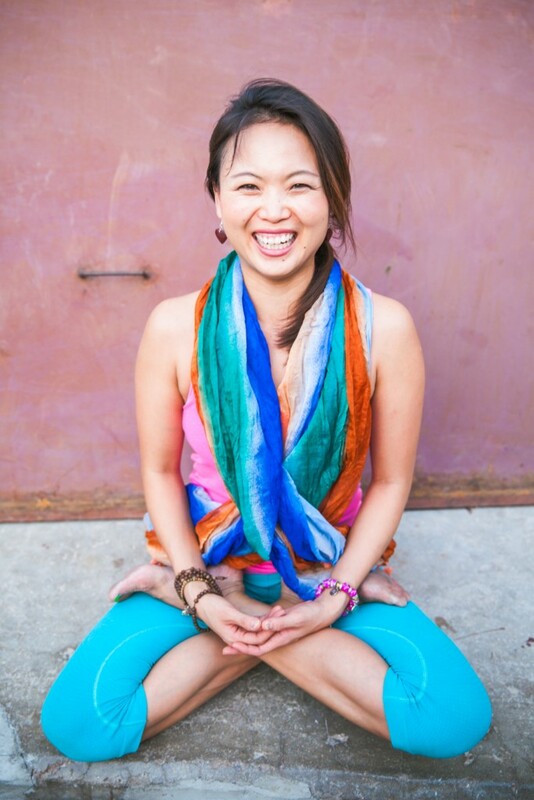 Ariel’s sense of adventure and eagerness for growth has led her to many hours of training, immersions, and the completion of her 500hr Yoga Teacher Training at Radiantly Alive Yoga in Ubud, Bali. Over the course of her trainings, she had the privilege to learn from various teachers such as Daniel Aaron, Alana Kaivalya, Govinda Kai, Edward Clark, Damien De Bastier, Nicki Doane, Chris Kummer, and Heather Bonker. To complement a more active yang yoga practice, Ariel completed another 200hr Yin Yoga Teacher Training with excellent guidance from Jo Phee and Joe Barnett. Lidia, or Bhakti Shakti, practices yoga for the last 17 years. Her career has started in the holy town of Vrindavan where she lived in a yoga ashram for several years and in Bengal as well. Her main activities are directed to yoga retreats & tours to India & South America where she met people with the ancient cultures & spirituality of the local Indigenous tribes. For many years she has practiced brahmacharya, living in the different yoga ashrams & has started a yoga ashram in Bulgaria & Sweden. Later she specialized in art therapy and psychology as part of the yogic development. She is German, born in Majorca, studied in a Catalan school and married to a Southafrican. She is dedicated to the study of the fascinating world of body functioning since she was a child. She works as an Osteopath, Naturopath, Reflexologist… all important tools to help balance the body back to “normal”. She found her way to yoga in 2004. She was 30kg overweight, depressed and lost. Thanks to yoga she found her way to understand her body and mind, and with her research about anatomy she discovered a fascinating world she loves to share. Toni is a professional agricultural engineer, who will teach us the magic of plants and herbs, as we follow his enchanting routes in the Tramuntana mountains. He was born and grew up in the amazing countryside of Mallorca, and lived in the magnificent villa of Ashram Om Retreats for some years. He will gladly take us on a trip in time around the mountains. 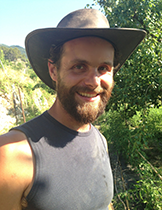 He will also be teaching us the art of cultivating organic food and making old-style, home-made bread. He is Ashram Om´s mountain guide. His experience has been in Spain and in Argentina. His calm nature and peaceful energy will help you transform your vision on life. Creating unique vegan and vegetarian organic food, cooked with love and understanding – this is our chef´s goal. 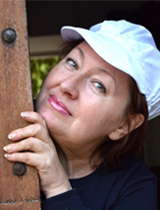 Victoria is an author of vegan and vegetarian books, a passionate cook, ready to amaze and please even the most capricious taste.